OPMNIR (Oh-pem-nee-ar) LLPIZ (Eel-pee-zod) NIAOM (Nee-ah-oh-meh) IAOM (Eeah-oh-meh) AIZXP (Ahee-zodtz-peh) AZXPI (Ah-zod-tz-pee) AXPIZ (Ah-tz-pee-zod) APIZX (Ah-pee-zod-tz) IZXP (Eezodtz-peh) ZXPI (Zod-tz-pee) XPIZ (Tz-pee-zod) PIZX (Pee-zod-tz) STEP 3. The Banishment of Demons. While you slowly vibrate the Names of Power listed in Step 2, see your body as whole, healthy, and complete.Realize the very thought or suggestion of illness/discord to be a Demon and then exorcise it with your Will. After you are deansed, say, In the name of the Angel IZXP (Ee-zodtz-peh), I banish the Demon AIZ (Ah-ee-zod). See pain leaving your physical body in the form of a cold black mist. In the name of the Angel ZXPI (Zod-tz-pee), I banish the Demon AZX (Ah-zod-tz). See sickness leaving your physical body in the form of a cool dark grey mist. In the name of the Angel XPIZ (Tz-pee-zod), I banish the Demon AXP (Ahtz-peh). See discord leaving your physical body in the form of a cool grey mist. In the name of the Angel PIZX (Pee-zodtz), I banish the Demon API (Ah-pee). See the last vestiges of discomfort leaving your physical body in the form of a cool smoke-grey mist. STEP 4. The Visualization. See the healing forces of the Names of Power leave the Magick Square of OLAP and enter your Pantacle. Let these forces radiate outward from your Pantacle through your arm until your entire body is enveloped in a rose-pink hue of healing mist Feel this healing power like an electric current running through you in a wide circle. Let the mist circle from the talisman to the Pantacle, through you, and back to the talisman (if necessary, bring your arms together until the talisman just touches the Pantacle). Feel this Circle of Force. Bathe in it for as long as you can. Repeat the Holy Name MOR-DIALHKTGA throughout this operation like a sacred mantra. STEP 5. The Conclusion. Banish all forces from the circle and know yourself to be healed. Intermediate Healing Ritual. Healing Others at a Distance. STEP I. The Consecration. Consecrate a circle using the Pentagram and Hexagram Rituals. STEP2.Establishing the Link. Hold your Talisman of OLAF in your right hand and your Pantacle in your left hand. Face the Watchtower of Earth. Leave your physical body and see yourself in your Body of Light. Go to the patient and face his/her Body of Light (alternate: establish and hold a very detailed visualization of the patient before you). STEP 3. The Visualization. While continuously chanting the four words of the Magick Square of OLAP, visualize a Vortex of Power over the patient. This Vortex of Power must extend from beyond the Abyss downward through the Aethyrs into the patient. It consists of a funnel-like swirling force of healing and cleansing energy. The patient must be clearly seen as becoming healthy and whole as a result of this Vortex of Power. Let the Vortex mingle with the subtle bodies of the patient and harmonize their elements. 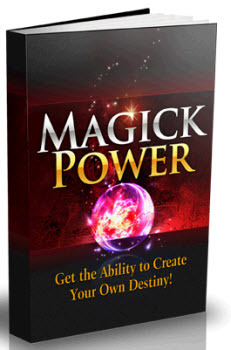 Know that you control this Vortex of Power through your magical Will. STEP 4. Continue repeating STEP 3 until the patient is dearly seen to be healed. STEP 5. Return to your physical body. Banish the Vortex of Power and know your patient to be healed. 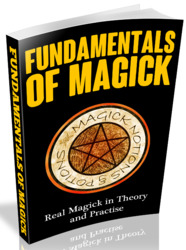 How to know if your intermediate or basic at magick? How to say healing in enochian?